It was 9 p.m. and the soft light was slowly starting to fade. Claire’s shoulders shivered as the temperature dropped and she slipped on the crop black cardigan she’d brought with. There was an empty bench outside the wrought-iron gates which guarded Kensington Palace, the same gates which mourners had flocked to, to decorate with flowers and wreaths and messages of condolence after Princess Diana had died. As they sat down Jonah still didn’t free her hand. They stared straight ahead at the gates for a few seconds and then Jonah broke the silence, turning to her. Tears began welling in Claire’s eyes and one dared to tumble over the edge and dribble towards her nose. Jonah wiped it away with the pad of his thumb. She nodded, but didn’t dare to speak. After she’d left, she’d changed her phone number, her e-mail address and even her home address. She’d not wanted to be found. She’d thought she was doing the right thing for everybody. “What was your wife like?” Claire whispered. She cursed herself for letting that question pop out her mouth. She didn’t want to know that he’d shacked up with some tall, leggy supermodel. Lord knows, there’d been enough of them around, clamouring to take him off her. “She was a mistake,” he said, tracing his finger down from Claire’s wet eye and along her cheek towards the back of her neck. It was a gesture so sensitive and tender that she felt her head tilt towards his hand and her eyes close. She’d never in her wildest dreams imagined being with Jonah, ever again. This was almost too much, too soon, too hard to take in. Her life had felt dull for years and, to an extent, she’d been responsible for letting that happen. She hadn’t believed she’d deserved better. Not after what she did. And now, from nowhere it had sped into fast forward. “But she gave you Martha,” Claire reminded him. Jonah leaned forward and cupped his other hand around Claire’s face. It was safer to close her eyes and not to try to read his expression, or guess his thoughts. With difficulty she obeyed and found herself staring into his deep, grey pools. What she thought she could read in them unsettled her. It felt like nothing had changed in the intervening years, even though she knew so much had. A lump caught at the back of her throat and she could feel her lower lip trembling. Part of her wanted to run away, scared of being exposed to what was sure to be emotional turmoil. But another part of her was frozen to the spot. He had her face clasped in both his hands and once again she found her eyelids closing as he caressed her cheeks. “I have to admit something,” he said. She nodded, eyes still tightly sealed. Here it comes, she thought. He’d given her the good stuff and was now about to deliver bad news, to tell her he was in a new relationship or something. She didn’t want to see him as he said it. Her eyes snapped open as she giggled. “It was nothing,” she brushed it off. She wanted to close her eyes again, but his gaze held her magnetically. She wasn’t sure if her thirty-seven year old heart could keep up the cracking pace it was now thumping at and she knew she must look ridiculous. Her lower lip was quivering uncontrollably and her porcelain make-up was no doubt now a streaky mess. Idiot, why hadn’t she removed it before coming? She couldn’t stop herself from looking down at his mouth, his luscious, thick, sensual lips. No-one’s lips had ever matched up to his, either before or after. It was as if he could read her mind. “I’m going to kiss you,” he said. She clamped her eyes back shut and nodded. “I can’t watch,” she whispered. She waited for so long that she considered telling him to hurry up, but then she felt his teeth gently take her lower lip in its grip, as if trying to stop the tremor. When she’d calmed down, he released it, pulled away for a second and she could feel the smile on his lips as he crushed his mouth deliciously into hers. 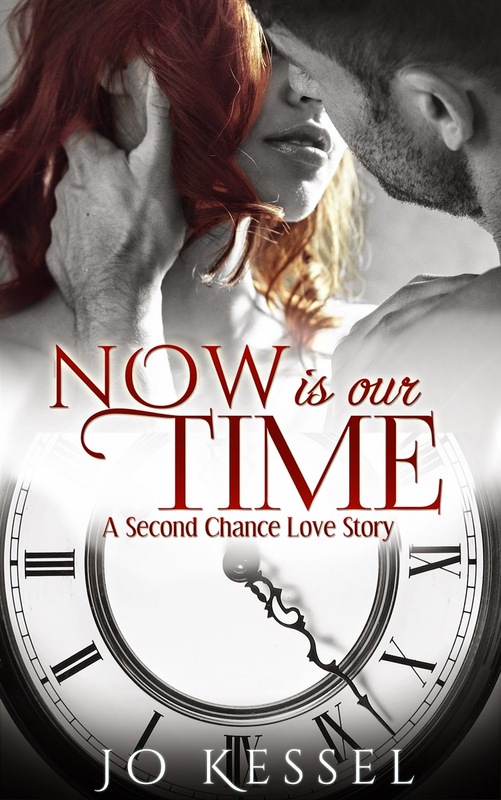 Now is Our Time is a very good book because it tackles not only about romance and forgiveness but it also gives the readers a view of one of the most prevalent issues faced by an increasing number of families around the world, divorce. The author gave a new light about this issue because she highlighted how the kids see the situation. The main characters in this book are Claire Jackson, formerly de Klerk, and Jonah Kennedy. They were old flames who happened to meet again after so many years. They separated before because of a decision they made, and now, they were both divorced from their spouses and they were both blessed with a daughter who are almost the same age. Claire was in the process of moving on, while her husband has apparently moved on. He’s now happily married with a lawyer and now has a little boy. Claire is still figuring out what to do aside from visiting and giving nutritional advice to her regular customers whom she visits every week. As she continues with her life, she discovers her long lost confidence which had deemed when she was with Anthony. She miraculously landed a job on TV when her test video caused an uproar to the netizens. She is apparently on the road to becoming one of the most in-demand nutritionist on TV. Jonah Kennedy was once a famous tennis player. Now that he had retired, he had landed a job as a commentator in tennis tournaments and as luck would have it, when his job brought him to London, he bumped into Claire’s best friend, Georgia, who became a bridge for the old flames to unite again. As they got to know each other, all the emotions they’ve had with each other before, came rushing back. They realized that what they felt for each other was rare, so they took a chance again. But this time, both of them were sure that they were it for each other. Jonah was so much different from Anthony. He was more considerate. He boosts Claire’s confidence. He’s a relax kind of man and doesn’t mind losing a game to a kid. He knows how to have fun. Since he started seeing Claire, he always take into consideration how their might affect their daughters. 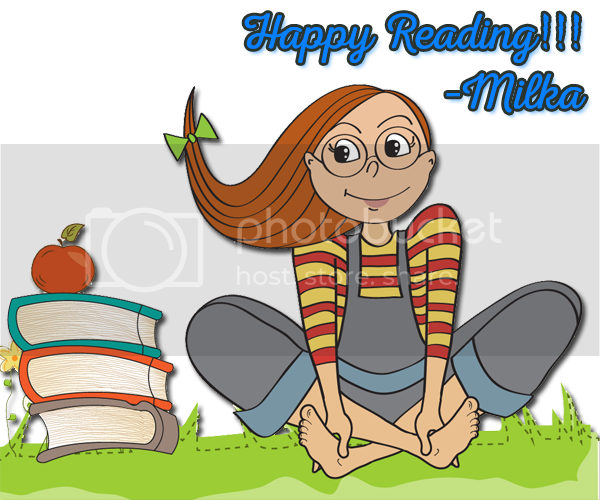 I appreciated the fact that the author included Miriam’s point of view. It seems appropriate since parents don’t really know how their decisions can affect their kids in the end. They fail to realize how kids can easily grasp situations. They may have younger minds but their opinions should not be ignored. They shouldn’t be cut off. They know more than what their innocent faces reveal. I love how perceptive Miriam’s character is. She seems to have a profound understanding of what Claire and Anthony feel. The story also shows the messier side of divorce. When decisions are clouded by emotions, parents tend to think of what they want and need. Children’s wants are neglected because they think their opinions are silly. When Anthony was threatened by the sudden appearance of Jonah, he felt like he should have the custody for Miriam because he was afraid they won’t allow her to see him. His decision was selfish because in the end, he caused unhappiness towards her and she developed hatred towards him. It also goes to show that it’s important for parents to divorce amicably. Bringing it to court will further damage both parties and will permanently affect kids in the process. One think I didn’t like was how instant Jonah and Claire got back together. I think that the building of relationship between Jonah and Claire as they reunite should have been done slowly. It’s as if nothing happened. What happened to them before was a very sensitive subject and it’s not that easy to deal with that kind of fall out. I guess the author could have added more scenes to show how difficult Jonah and Claire coped up with it. Overall, it is a good book. It’s not only a good story but it also raises awareness to some social issues. Jo qualified as a lawyer before moving into journalism, working for the BBC and reporting and presenting for ITV on holiday, consumer and current affairs programs. She writes for several national UK newspapers including the Daily Mail, the Telegraph, the Guardian and the Express and was the anonymous author of the Independent's hit column: Diary of a Primary School Mum. Now is our Time is her third novel.